We all know that first impressions are important. Your entrance to your ceremony and reception will be pivotal mood setting moments and making sure your sending the right message is crucial. Here we explore what makes the best moments of wedding entrance history and how they changed the atmosphere of their own weddings. This wedding moment was truly jaw dropping. This first royal wedding since we had lost dear Princess Diane we were all waiting baited breath to see how Kate would stun us all and we were not disappointed. 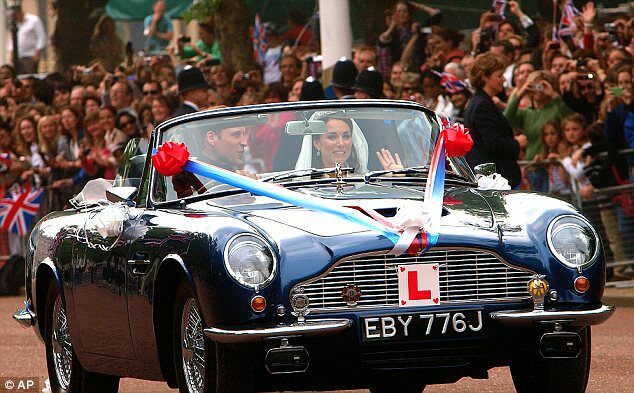 We all watched in awe as your favorite new couple served us vintage realness in a 1969 Aston Martin DB6. If the infinite class of this look is something you’d like to capture consider a 1957 Aston Martin DB2/4 Convertible. Same style just a little more vintage! It’s 1954 and you’re marrying the love of your life in a secluded Swiss town surrounded by family and nature. That’s the infinite mood of Audrey. Of course, any car she would’ve drove would be vintage to us now but even still this exit still entices us. If any car can age this will than we want to know about it. We knew little about this wedding when it first happened but as photos came out about the big day it seems so idealic. 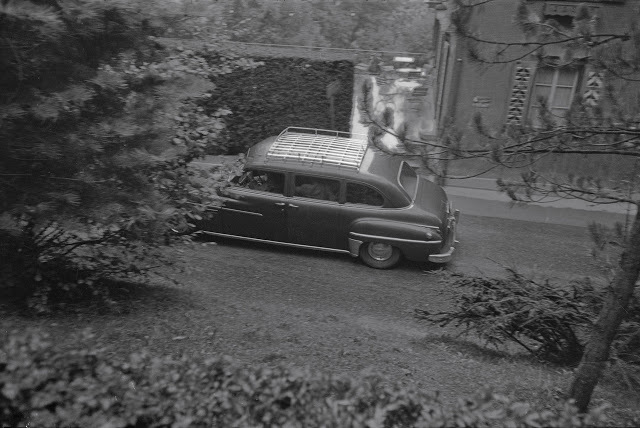 Capture that with a 1954 Chevy Bel Air. You can have your breakfast at tiffany’s, then your wedding right after! In 2011 Kate Moss got hitched in a beautiful 20’s inspired gown truly for another era. Just like her dress, Kate’s transportation gave us vintage vibes. Her lose fitting, off duty model look was perfectly matched by her easy grand entrance. I’d bet all eyes were on here through the whole thing. Plus, not only did they have one Rolls Royce, they had a whole fleet for all of Kate and Jamie’s wedding party. Talk about good accommodations. Grab that same essence of ease and class in this 1964 Rolls Royce. Truly a wedding for the ages. Breaking barriers and integrating culture this wedding did the classics but with a modern twist and so did their transportation. You could tell this wedding had both parts of Harry and Meghan in it which is what made it so fun to watch. 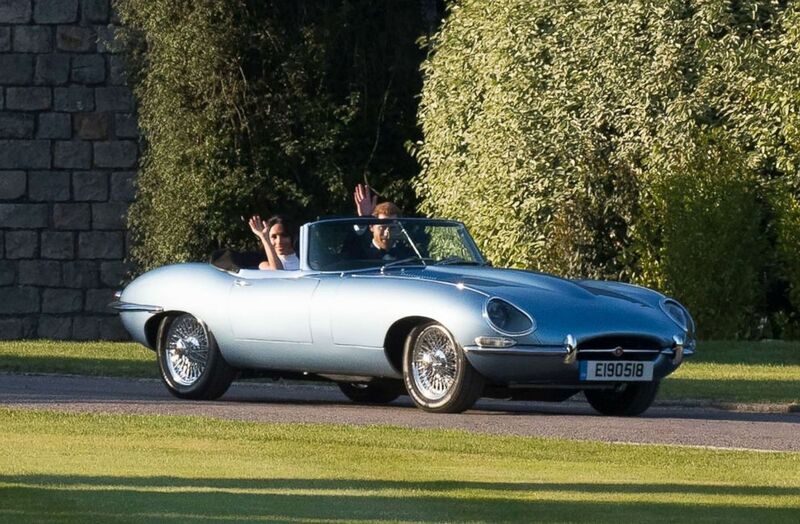 The sleek 1968 Jaguar E-Type had been converted to a full electric design that differed from the other cars in the ceremony which were mainly original models owned by the Royal Family. A 1969 Jaguar E-Type is available for rent in the Los Angeles area for your own royal photoshoot. You need to pick the car that best fits you and your partner, and going with a wedding car rental will make those choices more diverse and unique. All these moments are just examples of why your wedding transport is so important for the wedding day and should be something you’re planning for. What’s great about renting through a service like Vinty is that you won’t have to plan months in advance and it’s so simple that it won’t add to your planning process. It’s the perfect medium of wanting a cool entrance without having to invest too much time into it.